*What tha …? OK, somebody’s got some explaining to do. If you missed it, Friday night (04-08-16), on the third season finale of “Sleepy Hollow,” in a twist we totally didn’t see coming, the show killed off its leading lady and brave policewoman Abbie, who’s played by Nicole Beharie. Yes, you read correctly. 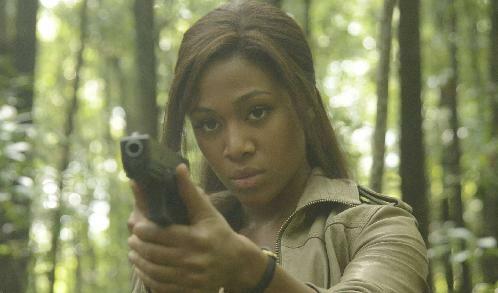 Abbie, played by Nicole Beharie on “Sleepy Hollow” is done. Kaput. As you can imagine, that didn’t go over too well the star’s fans nor a lot of fans of the show. Many took to Twitter to share their feelings of hurt and disappointment. Hell, a lot of folks threatened not to watch the show again if it does return for a season four (which has not yet been decided). Many hoped that it was a mistake and she will return again. In an interview with TVline, Beharie spoke out on the decision. “Last November, FOX announced that “Sleepy Hollow,” which had been under-performing in terms of ratings, would move to Friday nights at 8pm, when it returned after the holidays, with all-new episodes on Feb. 5. We wish Nicole Beharie well. She’s a great actress with a future that got upside written all over it. But the question now is will you watch the show (if there’s a season 4) now that Beharie is no longer on it? I dunno first it was Taraji Henson on Person of Interest, now this…….hope its not a trend, it’s like turning back the clock, back in the day you always knew the first person to die in a movie or TV show was going to be a person of color……. “Though Beharie’s send-off may come as a huge surprise to fans of the show, the star’s departure has been in discussions since before the third season began. 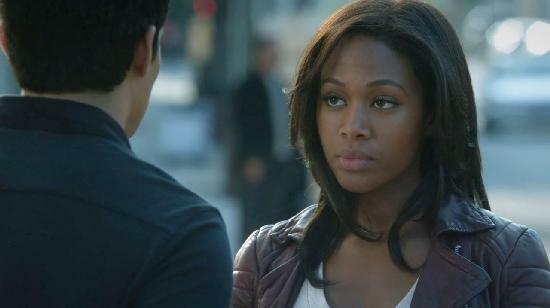 Insiders say Beharie has been eyeing an out from her contract for quite some time, as she no longer wanted to be on the show, and the show’s producers did not dispute her potentially leaving. Original plans called for Beharie’s character to be killed off in the Season 3 midseason finale, though the network backed away from the plan, deciding to finish out the season with the star, who’s been at the top of the call sheet since the start of the series in 2013.” Variety Plus no pick up for next season yet anyway. Based on what happened in the last two episodes, it looks like this is the beginning of the end, much like with Person of Interest when they killed off Taraji’s character. Although they won’t admit it, we all know this is the last season for POI. In Sleepy Hollow, they also killed off the two nemeses along with the female protagonist. So two black and two white characters get axed. One of them, literally. I don’t really see how it’s going to survive. It is a shame that Abbie is gone now. She was with Crane since the beginning and it will seem very weird not to see her at his side. We never expected her to be killed off. We were thinking that next season, Crane and his little group would somehow find a way for her to come back. We still love this show very much and hope it won’t be cancelled though. We’re looking forward to Season 4 although it will be so odd not to see Abbie there. Why would you kill Abby. She was such a good fit for Crane. They complemented each other. Throw in Miss Jenny and Joe and you have the sweet scent of success. I so agree with you. They killed the best characters, it will be cancelled. The answer is NO: NO: NO and NO! Abbie and Crane carried the show, it won’t work.